Change is slowly coming to Cuba. And the third week in March seems to have been a step forward for the country that has been mostly forgotten since cars came with steel fins and men wore linen suits. 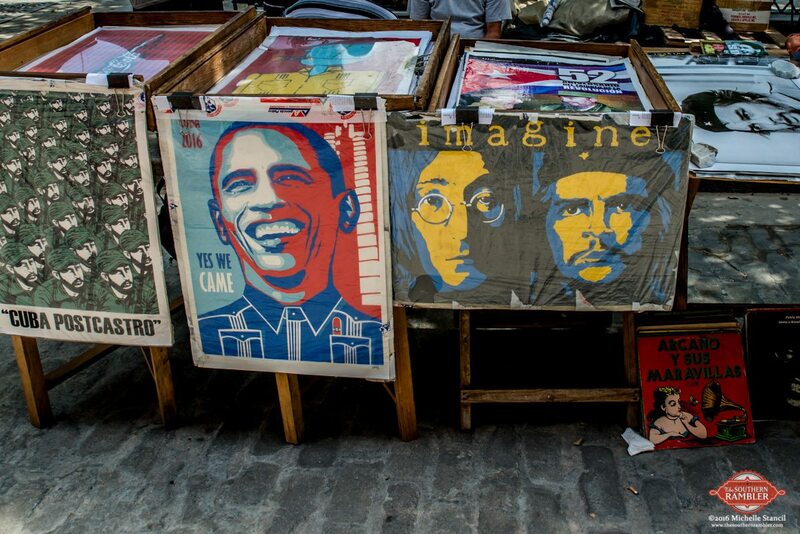 That was the week the leader of the free world and one of the greatest rock bands in history landed on the Communist island that sits a mere 90 miles from the United States, where Cubans have survived over 50 years of socialism, embargos and isolation. Eleven million people who barely have what they need, but still find ways to get by and help each other. The Southern Ramblerwas also in Cuba during that week, and it was clear the country’s transformation is coming this time from the hands of its people, not revolutionaries. The Rolling Stones’ March 25 concert was more than just historic. The British band was the music of cultural and political protest during the 1960s, while Fidel Castro was eliminating capitalism, nationalizing land and businesses, ending personal freedom and banning rock ‘n roll. 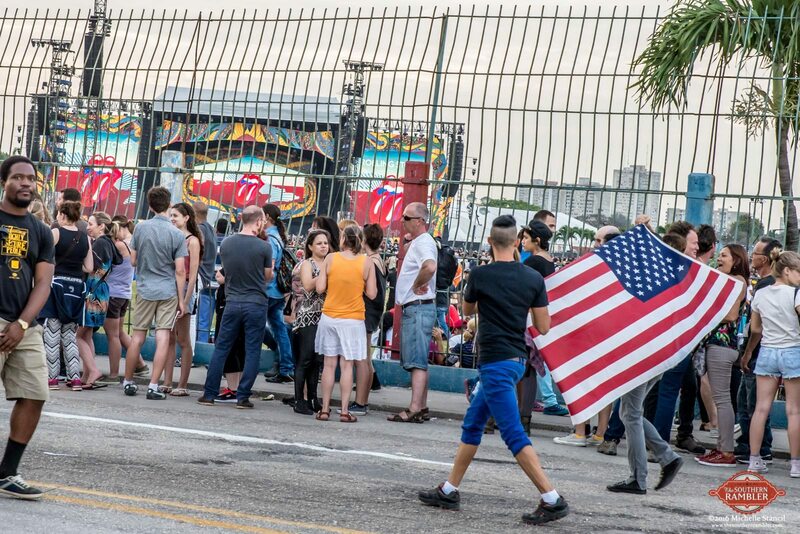 50 years later, on that warm night at the Ciudad Deportiva complex, a crowd of over 500,000 cheered as the timeless rockers used their music once again to speak out about change. “We know that years ago it was difficult to hear our music, but here we are playing. I think that finally the times are changing. 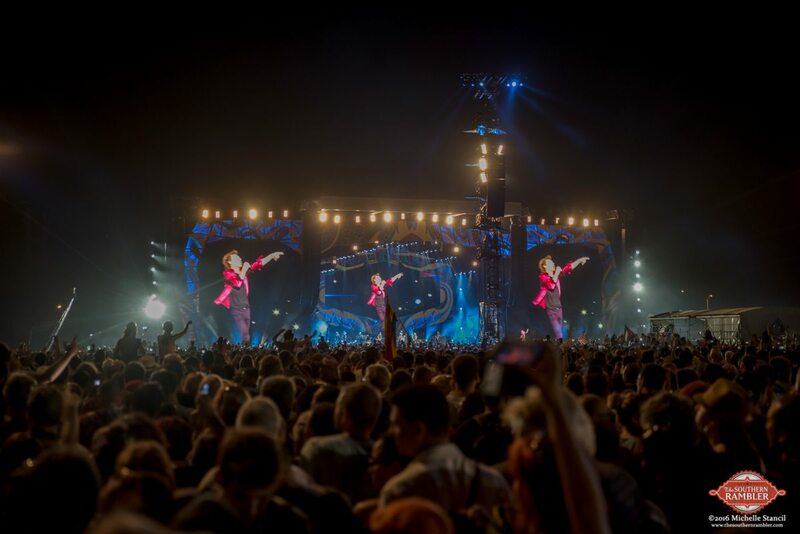 That’s true isn’t it?” – Mick Jagger, in Spanish, to the crowd at Ciudad Deportiva. It was the first rock concert for most of the crowd; joy and freedom flowed between the music and the fellowship. 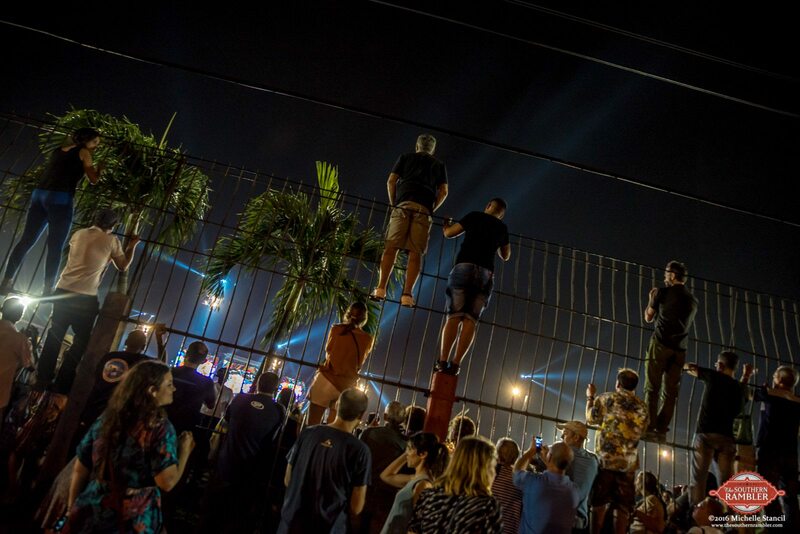 People walked miles to the complex and arrived hours before the show. They sat on the ground and leaned on one another. 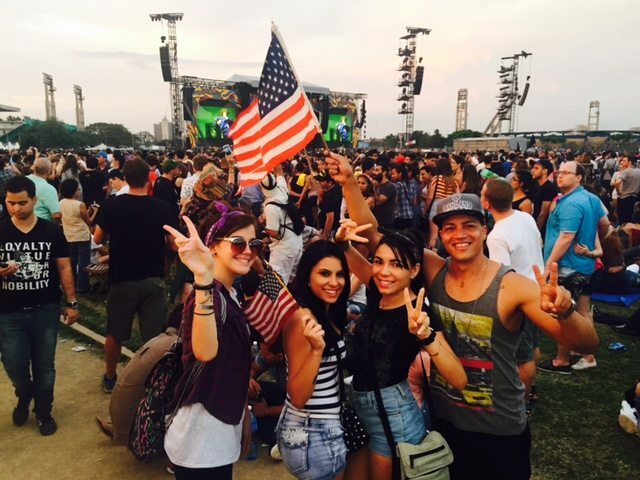 They took selfies, waved Cuban, American, Russian and British flags, and gazed at the orange sunset. Children sat on their fathers’ shoulders and souls of all ages watched together from the roofs of houses across the street. Hundreds of thousands sang along to “Sweet Home Alabama” and “I Love Rock ‘n’ Roll” soaring from giant speakers before the show, and shouted the words to “Satisfaction” as it closed the night. Half-a-century later, the Stones’ first number one hit still spoke to people frustrated with the way things are. The concert was big, but President Obama’s visit with his family days before was bigger. Obama was thefirst American president to visit Cuba in 88 years. He spoke of human rights, a new relationship with the Cuban people, and ending the isolation of the Cold War. His visit was more than speeches and photo ops. He is making it easier for Americans to travel to Cuba. 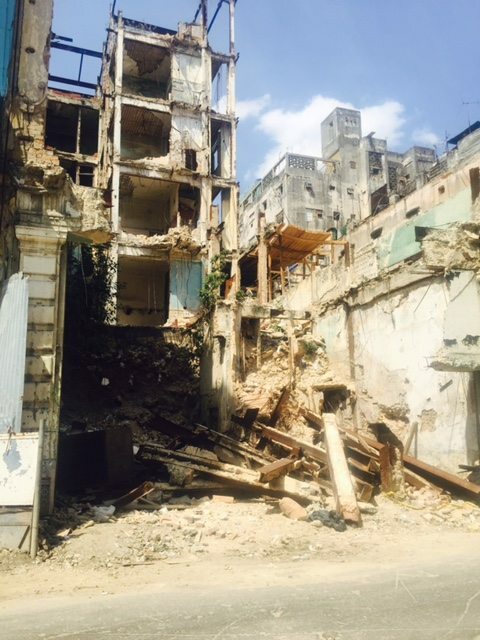 Obama and the Stones came, and went, but the Cubans are still living with crumbling buildings and antiquated infrastructure, low wages, water shortages, food rations and government restrictions. Thick logs stick out of potholes on collapsing streets and antiquated transformers and power equipment can’t keep up with growing demand for electricity. 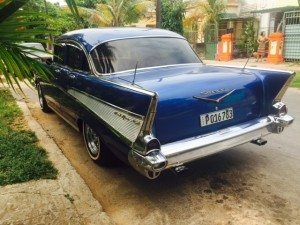 Traveling to Cuba is a step back in time to the 1950s and Chevrolets and Impalas with stick shifts, hood ornaments and manual windows. On the street, horses pull carts and people ride single bicycles in pairs. Roofs are filled with television antennas, pigeon coops and 160-liter water tanks. Billboards read “Revolución” and the faces of Che Guevara and Camilo Cienfuegos look down from the sides of buildings in Revolution Square. Despite the struggling economy, Communism and Castro dictators, it is hard not to romanticize Cuba. The clock stopped on a simpler time and the people are easy to love. They are a mix of colors and cultures living in safety and racial harmony. There are no guns, little crime, and life is lived in the streets. Houses are close together and windows and doors are always open. Clotheslines holding shirts, underwear, plastic bags and disposable diapers hang in front yards and from balconies above sidewalks. People stand on streets and steps talking from morning until night — word of mouth is the only news they trust. Lines are long and slow at markets selling subsidized potatoes, tomatoes, mangos, yuca, soda and eggs, but people patiently wait to fill their empty sacks. Most people work in government jobs including information and computer technology, or government-owned restaurants that serve the same basic chicken, beef and rice meals. Some employees sweep leaves under the trees as new leaves fall, hand out toilet paper for tips at public restrooms, or sit in chairs and push elevator buttons. The average salary is $20 per month; doctors and engineers make $60. 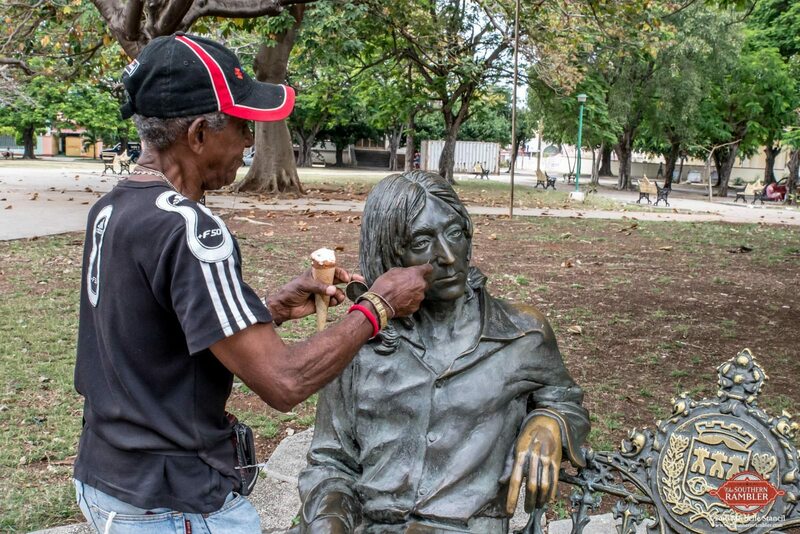 One man makes $10 a month sitting putting glasses on John Lennon’s statue when people stop by John Lennon park. He gives tourists pairs to wear for pictures and considers it an honor to protect the glasses because previous pairs were taken from the statue. “The U.S. has imposed an embargo for 50 years and has tightened it several times, but the Cuban government hasn’t changed. Cubans call it a blockade, not an embargo. That is not a slogan. We can’t use dollars, can’t sell good to the U.S., and can’t get the medicines we need. 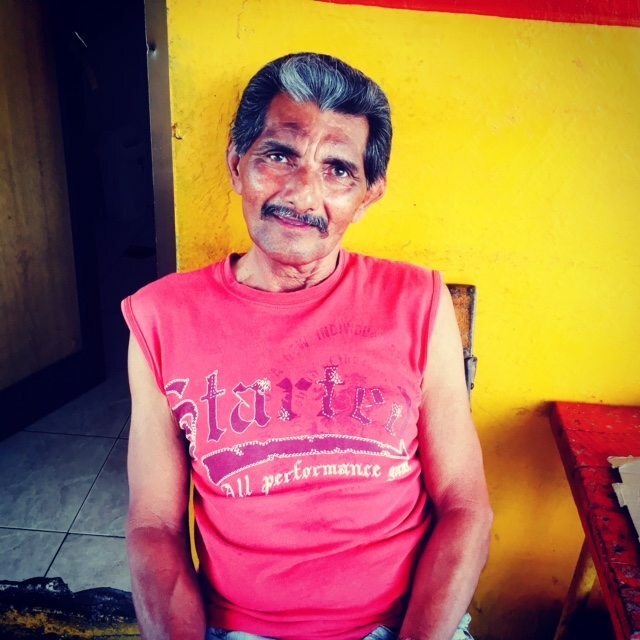 Other countries are penalized for trading with us.” — Fernando, Sr. 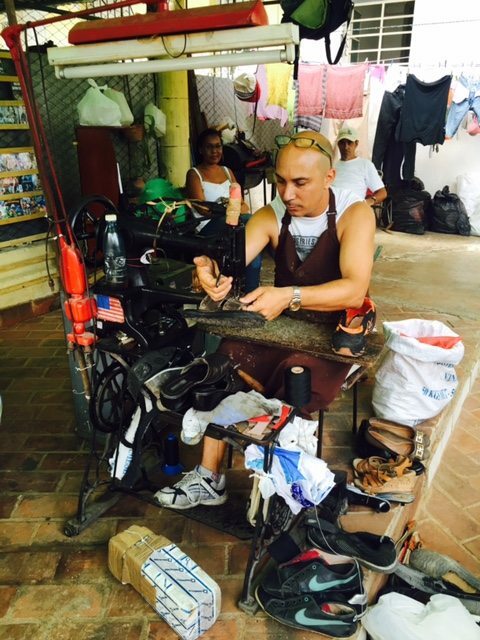 Tired of waiting for governments to change, some Cubans are finding their own ways to get what they need. They bake pies for sale out of their kitchen, go door to door giving manicures, mend sandals and tennis shoes with a foot-powered Singer sewing machine and provide taxi service in 1950s convertible Bel Airs passed down like heirlooms. Taxi drivers who own cars make more in one day than they could make in a month in a government job. 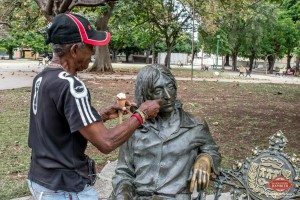 Raul Castro’s rule has eased a few restrictions and allows people to have private restaurants in their homes and rent out rooms for tourists. That allows some people to quit their government jobs and work for themselves, as more and more do each day. 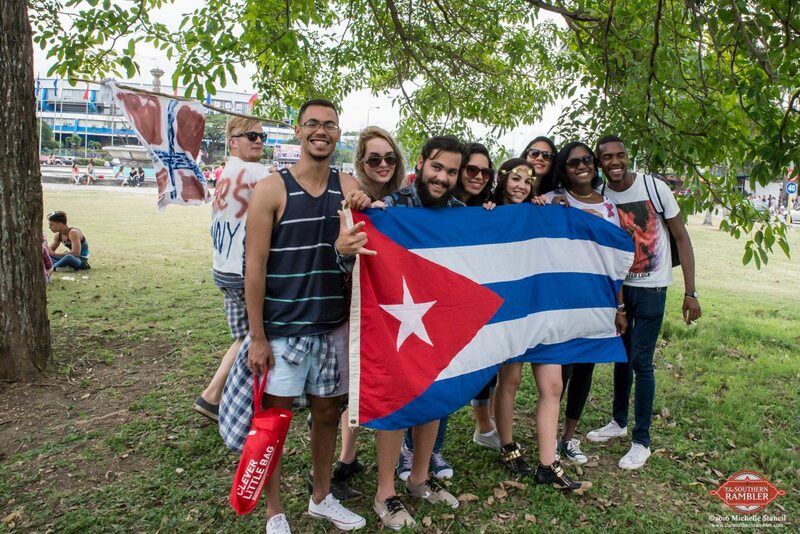 “Cubans want better salaries, more opportunities to work, and to visit other countries. Every person has a relative in the U.S. who talks about a better life and a new car. Here, neighbors take care of each other and work things out and there is not as much difference between the rich and poor. There is no chance to own a business and get rich because our government won’t let us cross that line.” — Fernando, Jr.
La Rampa Park gives signs of recent changes and a glimpse to the future. 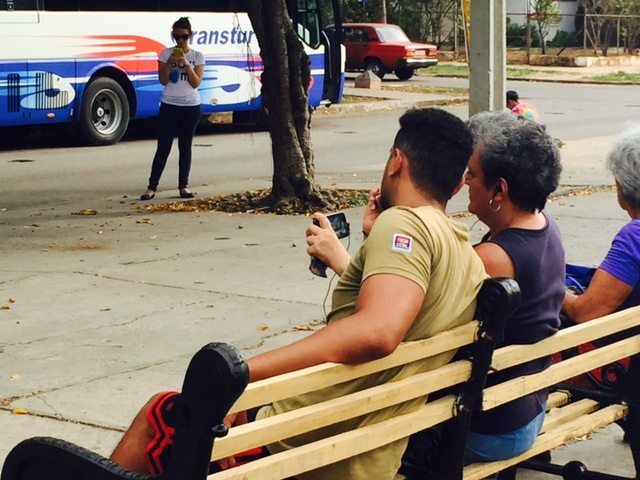 The shaded square in Vedado neighborhood is one of the few places in Havana with WiFi available to Cubans. Homes don’t have Internet and WiFi zones are the first connection with the outside world. This limited access started less than a year ago and there is a hum of voices, laughter and some tears as generations gather around phones on benches for video chats with friends and family. They talk almost face to face with distant friends and family for the first time in years. After dark, phones and iPad screens give off a blue glow around the park. The one-hour WiFi access codes are available at hotels and post offices, but are also sold secretly in the in the zones by dealers who charge three pesos for the code cards they bought for two. 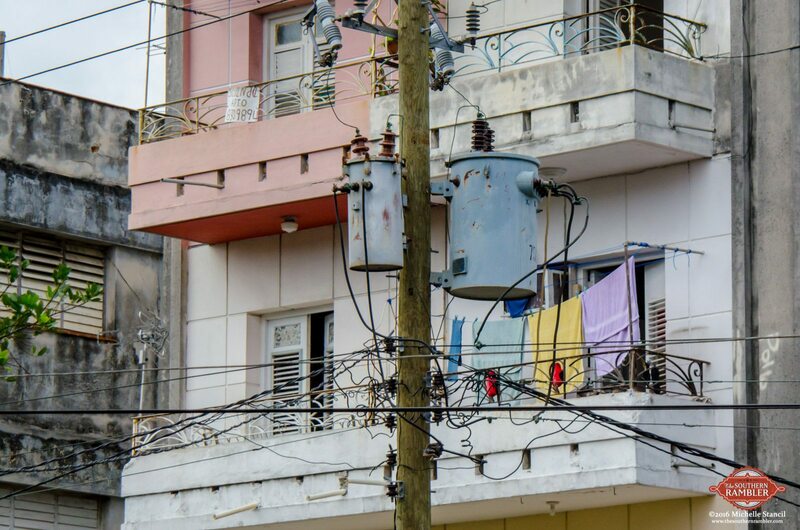 Even with this new access, WiFi is unaffordable for most Cubans. After all, a one-hour code is 10 percent of the average monthly salary. 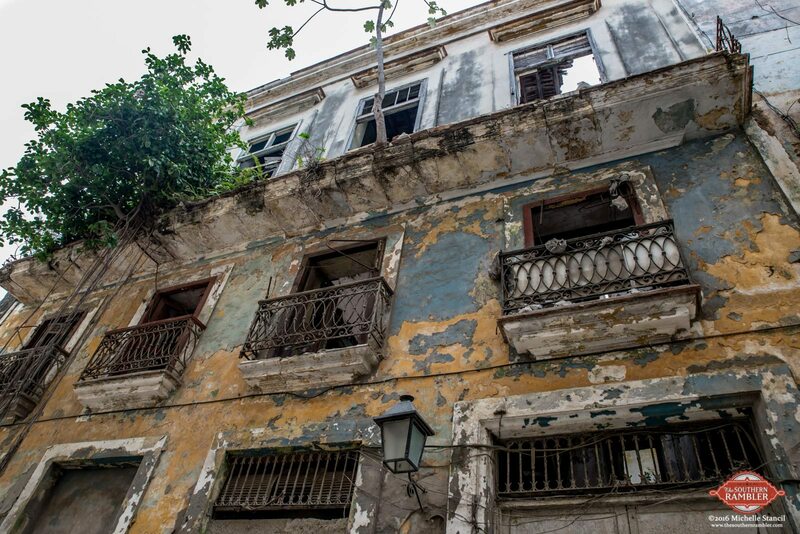 Across Havana, buildings show the decades of neglect and hardship and houses look like the ghosts of a grander past before construction shut down with Castro’s revolution. People can’t afford the upkeep, even with several families living together in one house, and elegant Italian, French and Spanish-style villas decorated with scrolls, lintels, balconies and pillars are falling apart. Paint peels from cracked walls stained black with mold and grime. Shutters sag, colors fade, and plaster chips away to the brick, limestone or cinder-block foundations. Cardboard covers the windows while ferns and trees grow in gutters and balconies, their roots hanging down to the sidewalk. Roman gods look down on them from dry and crumbled fountains. There are signs of renovations, amid the sounds of distant hammers and saws, but they are few and far-between. The fronts of some homes are painted in Easter pastels and sacks of concrete sit in front yards beneath pink and purple bougainvillea. In Old Havana, some people live in buildings with no roofs, electricity or plumbing; structures that would be condemned in other countries. Across the street from the National Capitol Building (modeled after the U.S. Capitol), collapsed houses look like ruins in a war zone surrounded by elegant buildings of Baroque, Renaissance, Greek Revival, Moorish and Art Deco styles. 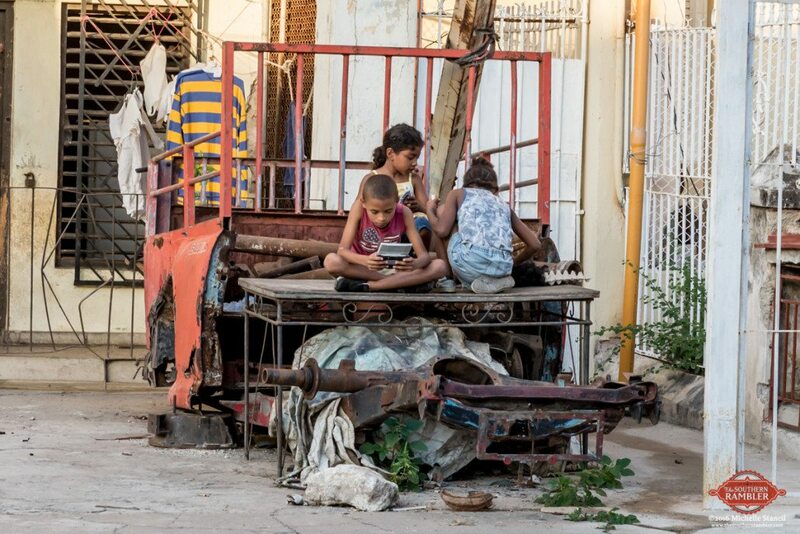 Livable spaces will continue to crumble and Cubans will continue to struggle against the subsistence line until foreign investment and capitalism are allowed in their country. Growth in tourism is bringing in money accessible to some, and hotel chains are ready to move in. 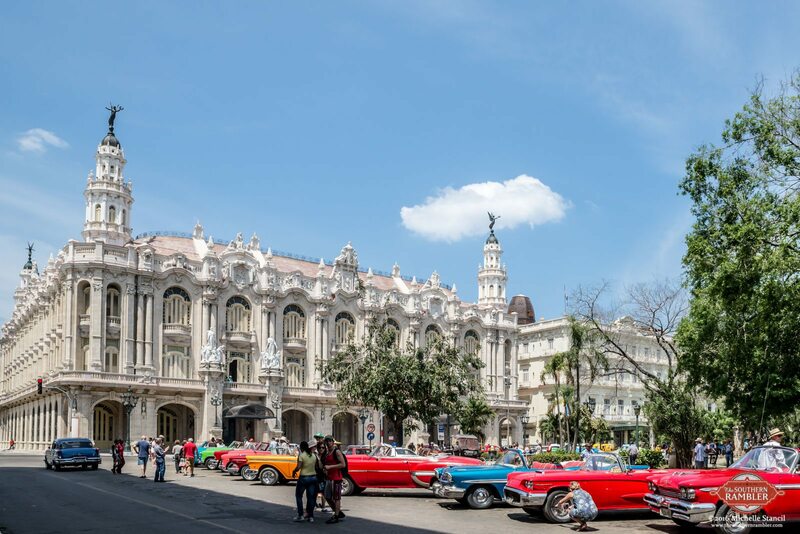 The country only has 63,000 hotel rooms, in contrast to the 3.1 million visitors in 2015 (47,401 were Americans), according to Cuba’s Office of National Statistics. 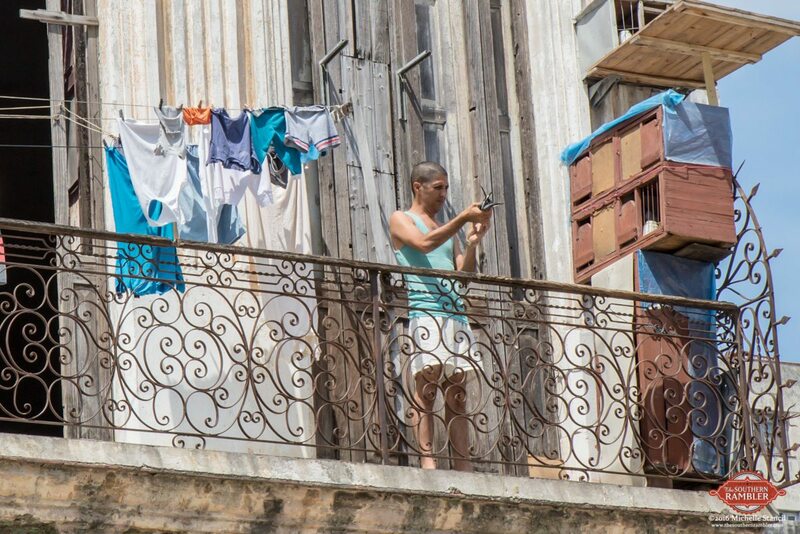 Airbnb began offering rooms to rent in Cuban homes a year ago. Cubans want an American lifestyle, but Cuba makes Americans nostalgic for a simpler time before McDonald’s and Starbucks. “I am glad you are seeing Cuba as it is now because it is going to change. This country will always be beautiful, but you are seeing it the way it has been for the past 50 years. This is the time for bringing the two countries together. 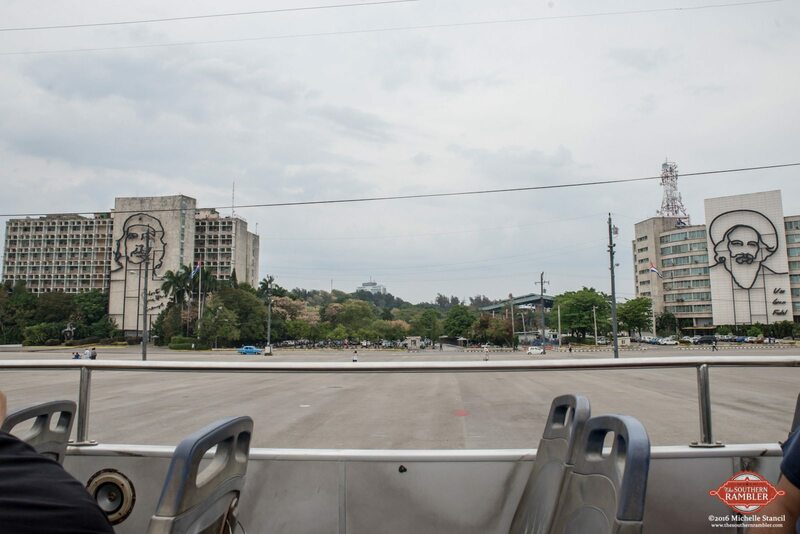 It should be up to the Cuban people who stayed there to decide how it changes and what they need.” — Odina Hernandez. Her family moved to the U.S. when she was a teenager, after the government took everything they owned. 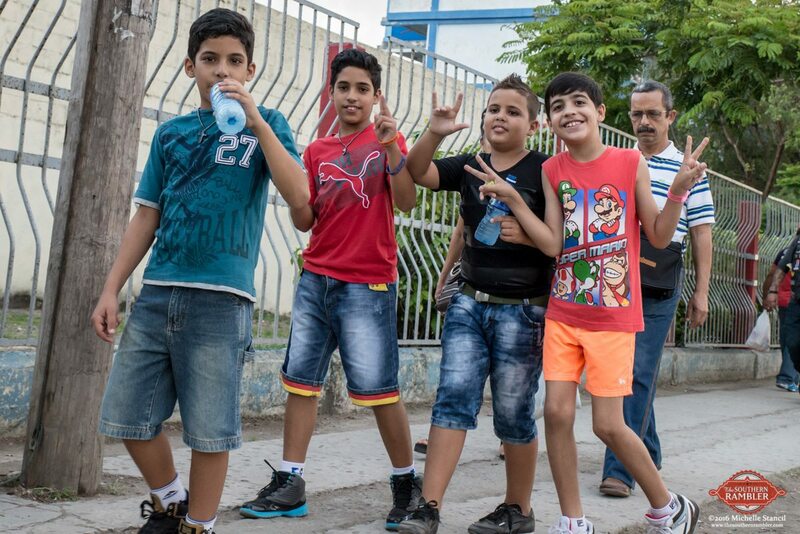 Small changes began in Cuba before the visits by President Obama and the Rolling Stones caught the world’s attention, and small changes will continue after the global gaze shifts away. The Cuban people have simple needs; they want a better life for their families, but need help and opportunities their government won’t give. They are speaking out and finding their voice.